I finally got something done I have been meaning to do for a long time. In the age windows 9x we still had a dos base to play around with. More often in my projects that I attempt with thin clients, and embedded computers I often find myself relying on dos to do things like launch windows CE. I remember times back in the day where I could package something onto a cd using a win98 boot floppy image to bring me to a dos prompt with cdrom support. This was a good way to partition a hard drive, copy windows 2000 install files to a folder on the hard drive, and then start the setup process after rebooting the computer and booting from the hard drive, later converting the partition to NTFS in setup. This trick was used on many diskless laptops and was a good universal way to install win2k or xp and if it ever needed the CD for drivers or options installed via add/remove programs, it would look to the i386 folder copied to the hard drive. So now I have my legacy system if I ever need it, as well as my boot disk I have been seeking. I will post the floppy image so those who need it can just write it to a floppy. I will even create an ISO image with that as the boot image and post that for download as an iso template. 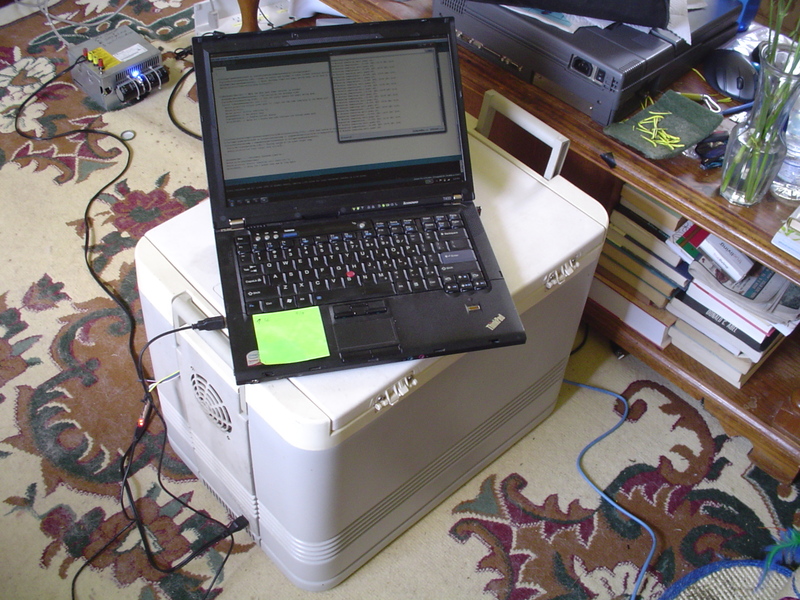 I will have more later this week on the thin client and the embedded os experiments I am going to be conducting. I have also added a classifieds section, this will take you to my wanted / for sale items. If you would like to add something for sale let me know. I am almost finished with the services page, there has just been so much to add to it, I hope to have this up over the next couple of days.